US President Donald Trump struck a blow against the 2015 Iran nuclear agreement choosing not to certify that Tehran is complying with the deal and warning it might ultimately be terminated. In a swipe at former President Barack Obama, Trump said the previous administration had been too lenient on Teheran and left the fate of the deal up to the US congress. 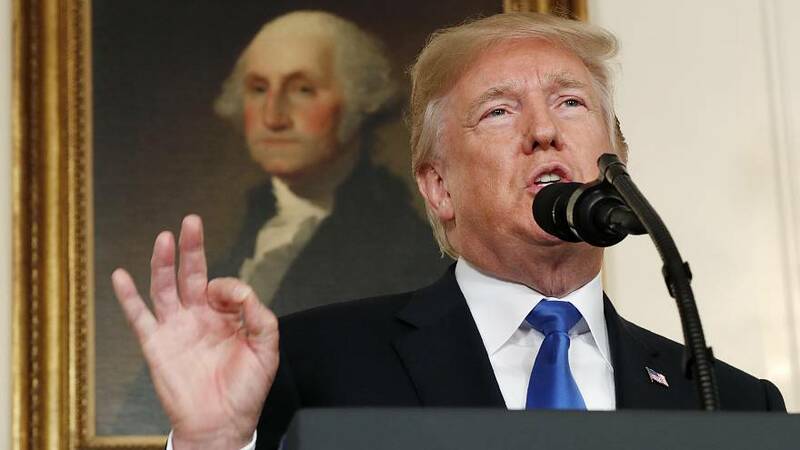 “We will not continue down a path whose predictable conclusion is more violence, more terror and the very real threat of Iran’s nuclear breakout,” said the president in a televised address. Within minutes of Trump’s speech, Iran’s president, Hassan Rouhani, went live on state television. He said Trump’s address was full of “insults and fake accusations“against Iran. “It is clearly not in the hands of any president of any country in the world to terminate an agreement of this sort,” she explained. In return for sanctions relief from six major powers and the EU, Iran accepted deep constraints on its nuclear programme. Its current stockpile of enriched uranium, for example, has been drastically reduced.